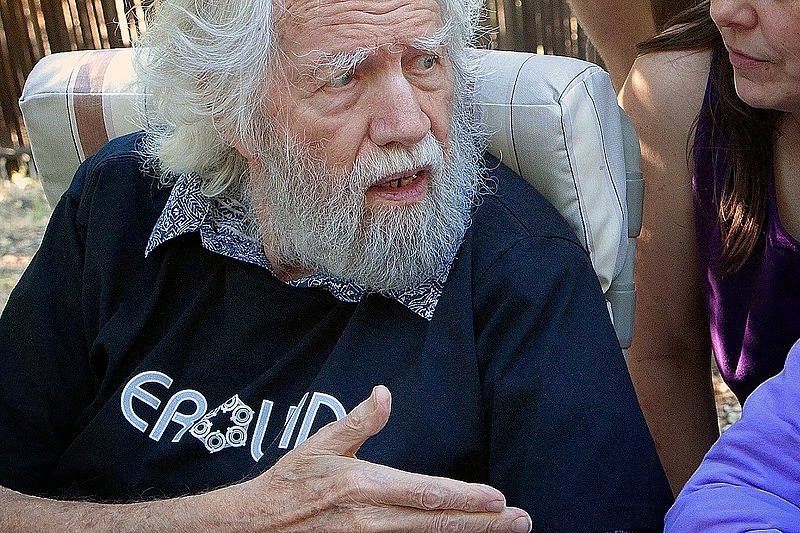 Dr. Alexander Shulgin, the man considered by many to be the 'Godfather of Psychedelics' died June 2nd, 2014. The world lost one of our best when Dr. Alexander 'Sasha' Shulgin died at home in his bed, surrounded by friends and family. Best known for discovering, synthesizing and personally testing 230+ psychoactive compounds. PIHKAL, written with his wife Ann, chronicles the explorations as their extended circle evaluated the potential of a variety of compounds. Shulgin is widely credited with bringing MDMA and related compounds to the attention of psychologists in the 1970s. But the most enticing of his work is his exploration of the 2C* family of compounds, his experiences with which are widely detailed in PIHKAL. Shulgin was a humanitarian, and the love story detailed in PIHKAL describes the type of relationship anyone would be lucky to experience. I'm skeptical about 'soul mates', but the enduring partnership of Ann & Sasha is a love story for the ages. Our love and support go out to his widow, Ann. For anybody interested, PIHKAL is a phenomenal read, even for non-chemists. Chemists will appreciate the second half of the book, which is a distillation of his lab notebooks. Just don't let the po-po find this book next to your collection of lab glass. Safe travels, Sasha. Your spirit will live forever in the hearts and works of those you inspired. Order your top shelf medical marijuana now at affordable prices, all our products are grade AAA++. We supplied in bulk and retail to small consumers, our delivery guys are fast and reliable. We do delivery at any time during the day or night, also we do shipment in and out of the state via EMS, DHL, UPS, FedEX.Send your order now: White widow,OG,Super sliverhaze,Super skunk,AK 47,Royal Kush,Dabber's Delight indica, and many more in our shop down town.